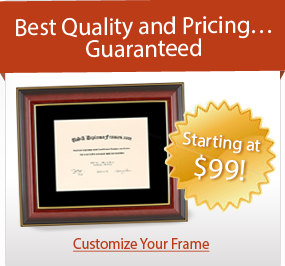 Enter the name of your school to get started building your custom frame. 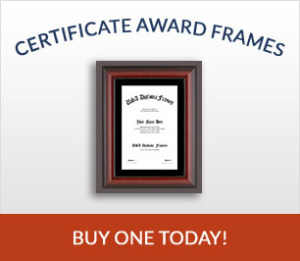 Free Shipping on All Frames*!! Frames ship in 10-14 days! 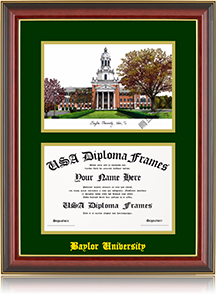 USADiplomaFrames.com offers a wide variety of SOLID WOOD diploma frame products and designs for over 4,000 colleges, and endless options for high schools. 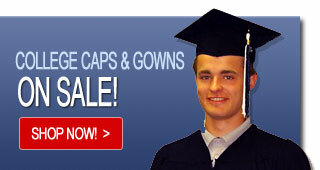 Our easy to use college and high school diploma frame website is designed to allow customers full control over their own high quality diploma frames at an affordable price. 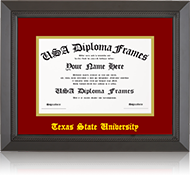 USADiplomaFrames.com provides either our custom frame builder, or pre-designed diploma frame options for the best selection and options for any collegiate or high school diploma. 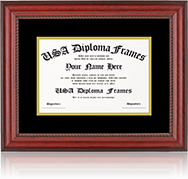 Whether you are recently receiving your degree, a graduate from years ago, or simply a proud parent, family member or friend, USADiplomaFrames.com is your best source for that one-of-a-kind custom diploma frame.